Andy di Inconstant Sol ancora ricorda il primissimo concerto di Mujician: "The very first concert under the name Mujician. 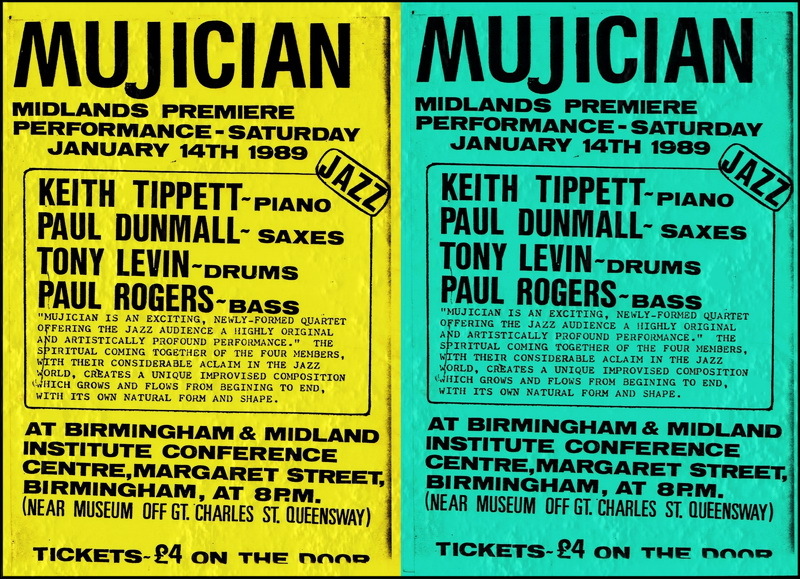 What Keith Tippett does in the first ten minutes, taking it down to an exquisite, hear-a-pin-drop, almost-stop, is a beautiful thing. Special." 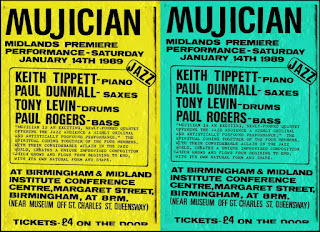 Era il 14 gennaio 1989, al Birmingham & Midland Institute Conference Centre, appunto a Birmingham: Keith Tippett, Paul Dunmall, Paul Rogers e Tony Levin.